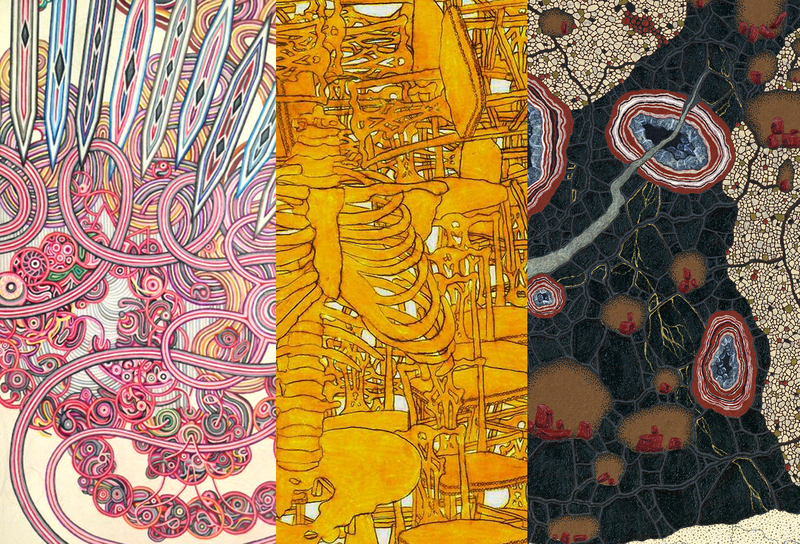 On 3rd Friday in May, Kiosk Gallery presents “Fixate” – an exhibition of drawings and paintings by Alex Heilner (VA), Cotter Luppi (NY), and Amy Wright (KCMO). These 3 artists work persistently in detailed, cumulative styles that highlight repeated elements and intricately rendered images – fetishizing their subjects (both sincerely and critically). An artist’s reception will be held May 20th, 6-9 pm. The show runs through June 9th, open Fridays 12-6 pm, Saturdays 12-4 pm, and by appointment.